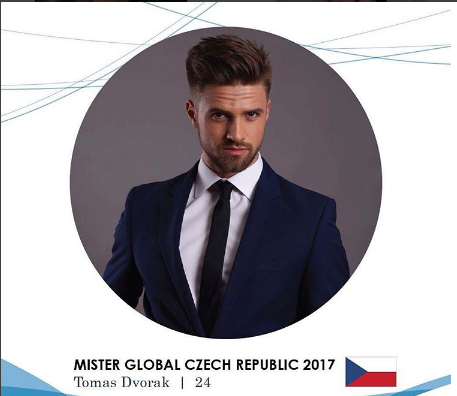 "Tomas" is Mister Global Czech Republic. He will have a lot pressure on him as the current winner is from Czech Republic. Say hello to Mister Global Czech Republic 2017 and 24-year-old model, Tomas Dvorak!